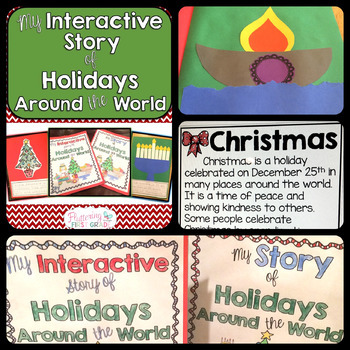 Holidays Around the World reading and writing lessons during the month of December are some of our favorite lesson plans of the year. 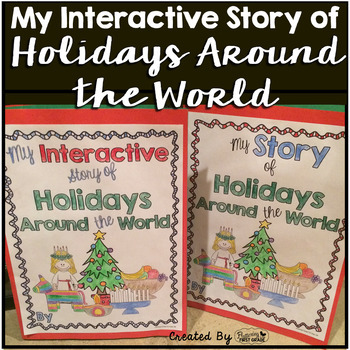 These printables and activities allow your students to read, write and create the story of holidays around the world in an interactive way that helps them learn a lot of non-fiction information fast...Just in time to take these keepsake books home to share during their own family holidays! 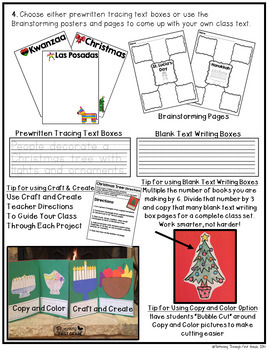 Learn about Christmas, Dwali, Hanukkah, Kwanzaa, Las Posadas, and Saint Lucia's Day. With 2 options to choose from, you can customize or differentiate the book to meet your own class needs. The Copy and Color option allows students to color their pictures and trace sentences to create their story. 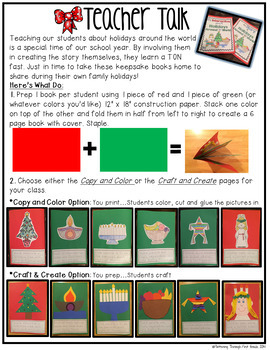 The Craft and Create option allows students create their own guided art projects and write their own story. We’d love for you to come hang out on our blog where we have more detailed descriptions of our products and freebies too!